I would probably list walking and eating as two of my favourite activities. And if you can do both in a beautiful setting surrounded by art and historical buildings the whole experience becomes unforgettable. Siena is possibly slightly less known than its neighbour Florence that has been celebrated in paintings, books, and films for years. 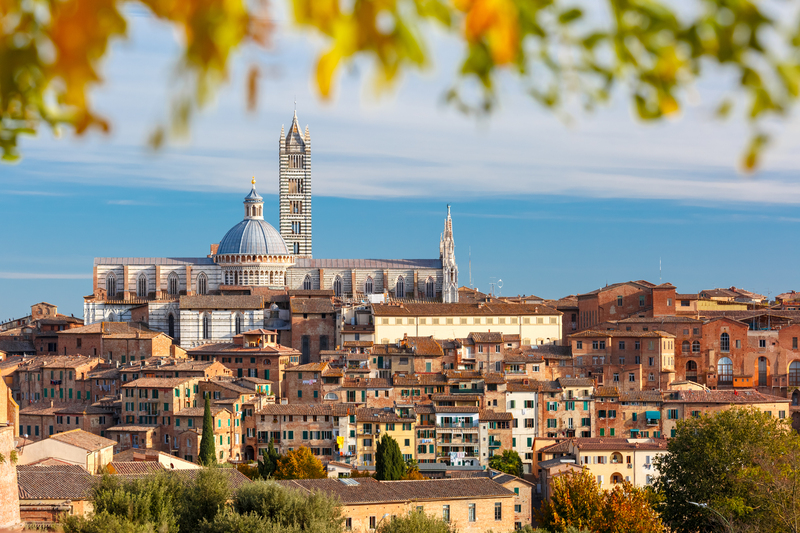 However, the savvy traveller knows that Siena offers rewards in abundance in a quieter and less crowded setting. Being born in Siena I grew up with dishes that for me represent the place. I am sure that Florence or surrounding villages have the same food. Mind you though even if it might sound and look alike it will differ slightly or considerably in something – the addition or absence of an ingredient that to the trained palate means a lot. Some dishes are primarily associated with festivities, particularly Christmas, while others are typical of Sunday lunch at my grandmother or a meal with friends. These dishes are ideally eaten in the cold or chilly weather and preferably at lunch time given as they are quite filling. It is with these memories that I would like to take you through Siena savouring its key flavours and to share a recipe so that you can bring some of Siena to your house. 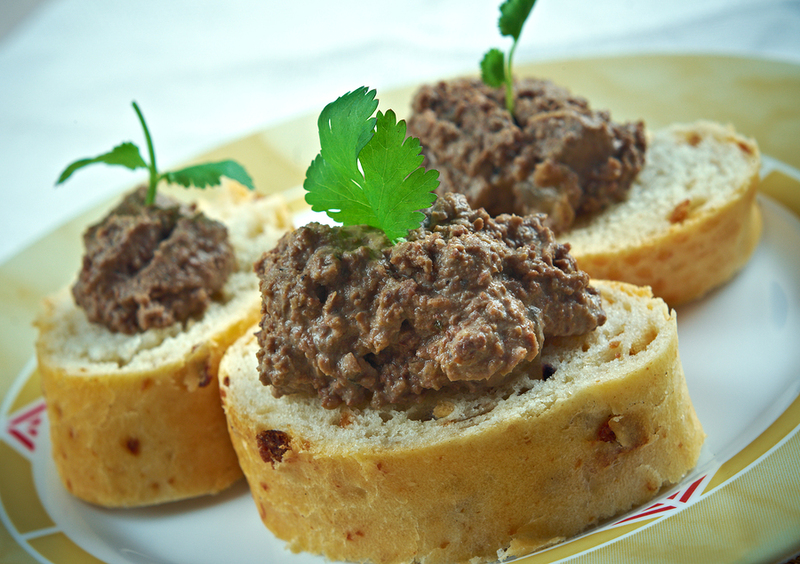 Chicken liver mixed with capers and anchovies makes an intense brown paste that is generously spread on bread slightly toasted and briefly dipped in broth. L’Orto dei Pecci offers them in a very unassuming venue at the bottom of a green valley only a few minutes from Piazza del Campo – you will not believe you are still in the city centre. Pici are thick, flour and water based, fat spaghetti. 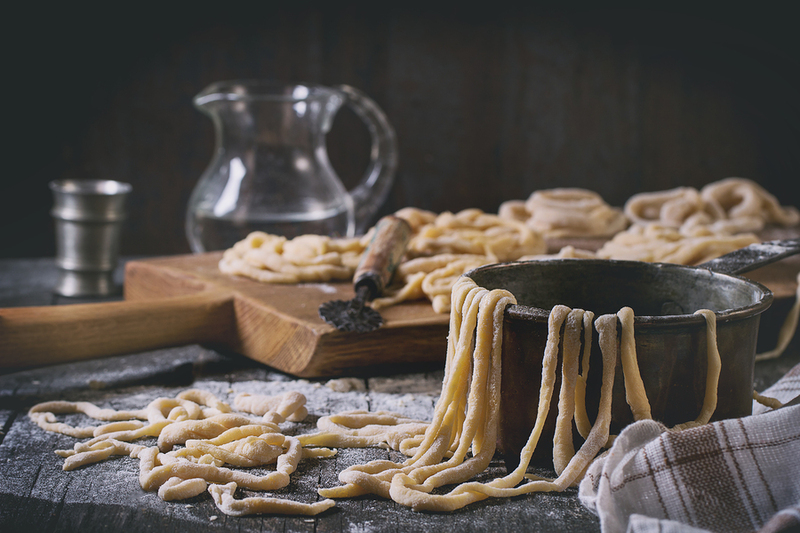 Most places serve machine made pici but a handful of old-fashioned restaurants maintain the tradition of rolling them by hand. Their thickness requires heavy sauces that don’t slip off. Porcini mushrooms or pork sauces are the best ways to sample this dish(the Cinta Senese pigs are a speciality now protected as Geographic Denomination). La Teverna di San Giuseppe in via Dupre’ (just behind Piazza del Campo) in the contrada dell’Onda (the Wave neighbourhood) prides itself for serving customers the real thing. On a winter’s day after a tiring walk all you want is something to warm you up. 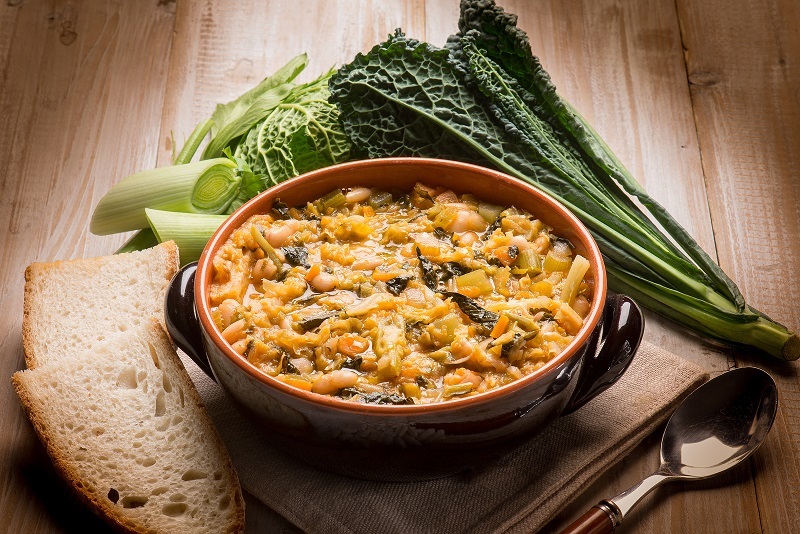 Simple flavours of the Tuscan countryside mingle in this peasant dish made of stale bread, cavolo nero, cannellini beans, savoy cabbage, and chard which cooks twice in a big clay pot (hence ribollita, boiled again or simply re-heated probably as it was made in very large quantities for the entire family and eaten again the day after). By doing that though the flavours have the chance to mellow and blend together. For this head to L’Osteria La Mossa on the actual Piazza del Campo which also serves interesting aperitifs from 6.30pm in case you are still around a few hours later. 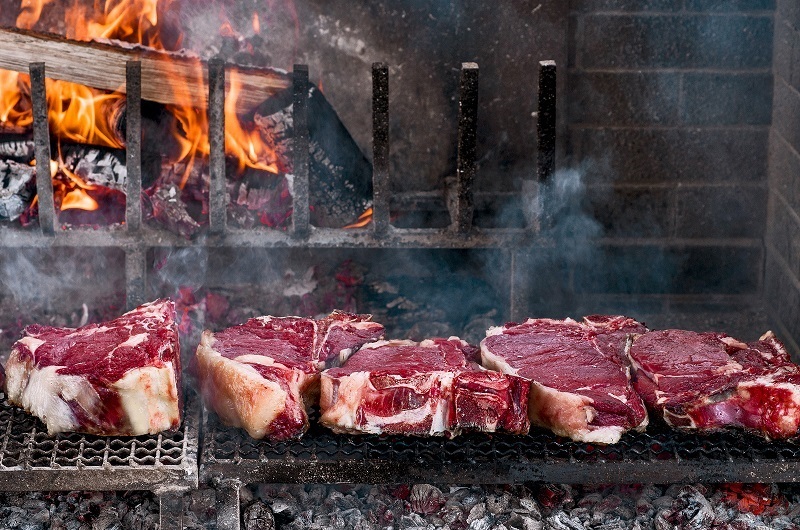 Non-vegetarians will delight their eyes and feast their tastebuds with a plate of the most tender meat Chianina, a breed of cattle now mostly raised for beef from the Chianti area. Cooked on the grill for only a few minutes the slices remain succulent and moist. It is usually served with rocket and sometimes cherry tomatoes too. Osteria Pepi in Piazza del Mercato (below Piazza del Campo) serves some of the best beef and I would highly recommend a stop, this time in the evening. 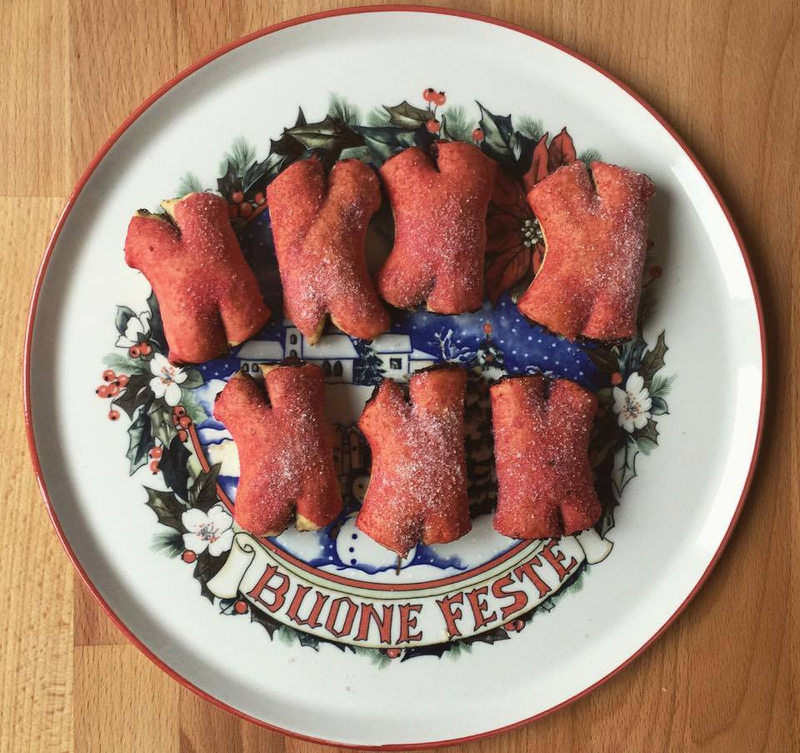 Typical for Christmas these knobbly biscuits are the slightly less known sisters to Ricciarelli but can also now be eaten any time of the year. When I was little they used to be hard rock so much so that I remember my grand-mother risking her teeth every time she bit into one. Nowadays they seem much softer (perhaps after several complaints from teeth-less customers) and with just a hint of amoniaca which again in my days was far too strong to the point of tasting medicinal. On the contrary I love their orange flavour given by the candied fruit and knowing they have far fewer calories than ricciarelli which are entirely made of almonds. The name is certainly curious. Cavallo means horse, some believe that it comes from their shape, with a central furrow resembling a horse hoof, others think that it was because in the past a little horse was once imprinted on top of them and there is even the story that they were often consumed by roadhouses workers where travellers would stop to rest and change their horses. Whatever the story is I would recommend to stop at Pasticceria Buti outside of Porta Camollia (the northern door) and try some of them. You won’t regret (or lose a tooth either!). Finely crush the aniseeds and then mix the flour with the chopped walnuts, candied fruit, ammonia, aniseeds and spices. In a saucepan melt the sugar and honey with the water until the sugar has dissolved and let it boil briefly. Mix the sugar mix with the dry ingredients and knead quickly to make a sausage shape dough. Cut into pieces and shape them into big stone biscuits. Make a slight crease on top and then place them on a tray lined with baking paper and bake in the oven for 10-12 minutes at 160C.